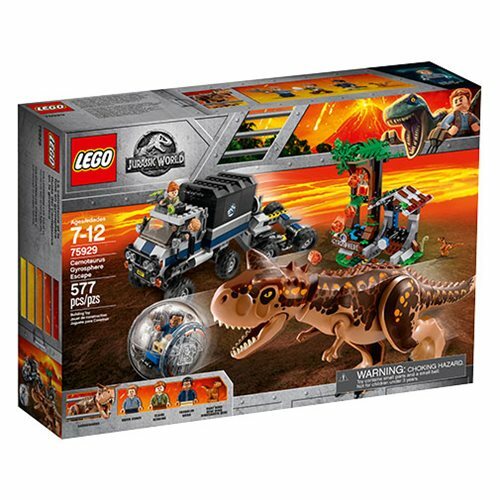 Flee the flying lava rocks and a deadly dinosaur on Isla Nublar, with this dramatic Carnotaurus Gyrosphere Escape play set inspired by Jurassic World. 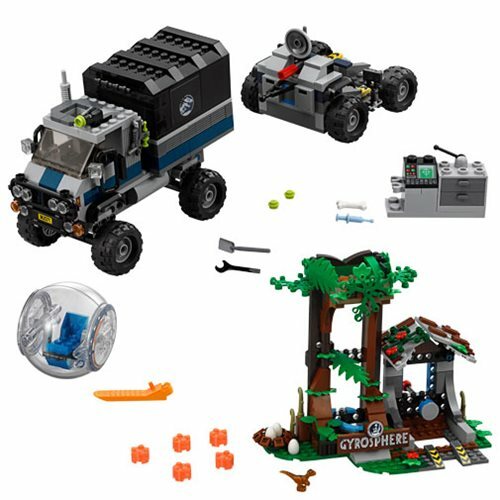 Help Owen, Claire and Franklin make their escape in the Gyrosphere or truck, featuring a 2-seater cab with sunroof, stud shooter, mobile control center and Gyrosphere trailer with launch function. The overgrown Gyrosphere station has an exploding lava rocks function, Gyrosphere launcher and a dinosaur nest. 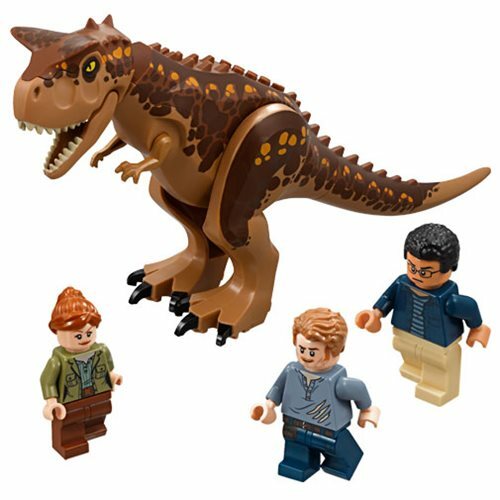 This fun toy includes 3 mini-figures and 2 dinosaur figures. 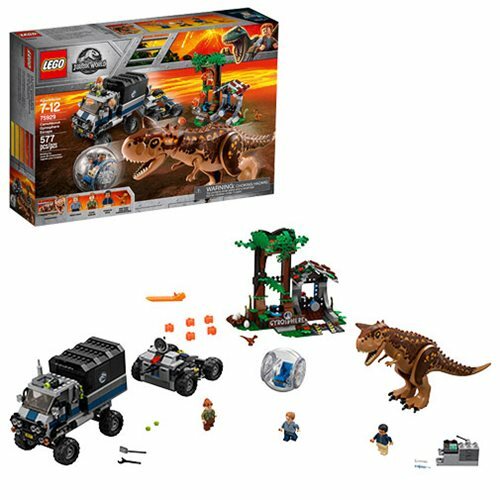 The LEGO Jurassic World 75929 Carnotaurus Gyrosphere Escape includes 577 pieces. Ages 7 to 12. The truck measures about 5-inches long x 4-inches tall x 3-inches wide. The trailer measures roughly 5-inches long x 3-inches tall x 3-inches wide. The Carnotaurus stands approximately 5-inches tall. The overgrown Gyrosphere station measures about 7-inches long x 6-inches tall x 4-inches wide. The Gyrosphere measures about 2-inches in diameter.